In recent years, a significant number of deficiencies have been spotted in District of Columbia nursing homes. A thorough research study published by the University of California-San Francisco reveals that 26 percent of all nursing home patients developed bed sores due to neglect in 2008. Further, 30 percent of all District of Columbia nursing homes failed to provide a quality of life in line with the dignity of residents in 2008. According to information maintained by Medicare, there are eighteen nursing homes in the District of Columbia monitored by Centers for Medicare and Medicaid Services (CMS). This data is gathered through inspections, surveys, and investigations into complaints filed by residents, family members and employees. The federal agency identified serious deficiencies and violations at three (17%) of these facilities that provide substandard care. If your loved one was harmed, injured, abused, mistreated or died unexpectedly from neglect while living in a District of Columbia nursing home, we urge you to contact the Washington D.C. nursing home abuse & neglect lawyers at Nursing Home Law Center today. Let us begin processing your claim for compensation on your behalf during a free case evaluation. An overwhelming 63 percent of District of Columbia nursing homes had deficiencies in maintaining sanitary premises for residents. When nursing homes have unclean floors, bedding and areas, it is the residents who suffer most and can be more likely to suffer from infection or illness. Nursing homes must be held accountable for these dangerous unsanitary conditions, and nursing home lawyers are here to help in any way possible. Family members can sue a nursing home for unsanitary conditions that have resulted in the illness of a loved one with the help of D.C. nursing home attorneys. District of Columbia nursing home lawyers are here to provide family members with the legal guidance that they need to sue nursing homes for damages resulting from neglect or abuse. Get in touch with D.C. attorneys to begin the investigation process of your claim. In the District of Columbia, family members only have a limited period of time in which to file a nursing home neglect claim. Under the Statute of Limitations for negligence claims in D.C., family members must report an injury of a loved one within three years of discovery. There is also a Statute of Limitations for medical malpractice claims, and family members must report incidents of medical malpractice within three years of the original malpractice event. There is no cap for damages on negligence claims in D.C., so family members can collect an unlimited amount of funds from nursing homes liable for abuse or negligence that results in injury to a loved one. For wrongful death claims in District of Columbia, family members only have one year from the date of death to file. There is also no damages cap for wrongful death claims in D.C. Family members who have lost a loved one due to the neglect or abuse of nursing home staff members should get in touch with a D.C. nursing home abuse lawyer who will file the claim as soon as possible. Family members do not want to miss the deadline for filing a wrongful death claim and holding a nursing home accountable for neglect and abuse. When family members have reports of abuse or neglect in District of Columbia, they should make reports to the D.C. Long-Term Care Ombudsman Program. Ombudsmen will research and investigate claims of abuse to help family members resolve their claims. Nursing home staff workers are also under a legal duty to report these signs or abuse and more to the Ombudsman Program in District of Columbia. If one is aware of these injuries and fails to make a report, then he or she may be criminally liable. Get in touch with a D.C. nursing home abuse lawyer to begin the process of filing a legal claim against a nursing home. Lawyers have the strength and legal knowledge to fight nursing home entities and know how to navigate the system. They can instantly detect signs of abuse or neglect and hold administrators accountable for this unscrupulous behavior. 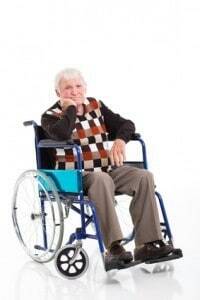 Protect your loved one today with D.C. nursing home attorneys. Adult children are often shocked and overwhelmed when they learn that their parent or grandparent residing in a nursing home is suffering a debilitating pressure sore. In many incidences, the nursing facility or doctor tells the adult child that pressure sores are the result of their loved ones medical condition or a natural part of aging. However, nearly every type of pressure sore (bedsore; pressure ulcer; decubitus ulcer) is preventable. So, when a loved one suffers a pressure sore, it is usually the result of negligence, inattentiveness or abuse at a Washington D.C. nursing home. In many incidences, families have limited options to provide quality healthcare to a parent or grandparent, and are often forced to place them in a nursing facility. As a result, they move their loved one into the home with the expectation that only competently trained staff will provide quality care. The family entrusts the medical professionals with the responsibility of taking care of their loved one’s medical, hygiene and nutritional needs. So, it is no wonder when families are upset when they been told their loved one has acquired a pressure sore while at the facility. A pressure sore develops quickly – usually within two hours – when the patient’s weight puts pressure on a bony part of the body, restricting oxygenated blood flow. These areas typically include the toes, ankles, heels, hipbones, sacrum (tailbone), spine, shoulders, shoulder blades, neck and the back of the head. However, no skin on the body is immune to developing a sore. When applied pressure of the body makes contact with bedding materials, beds, mattresses, cushions, chairs and wheelchairs, oxygen is cut off from skin tissue. The patients more susceptible to acquiring a pressure sore are those that have limited mobility and lack the capacity to readjust or reposition their body without assistance. In its earliest stage, a bedsore can heal completely within a few days if the pressure is alleviated quickly and remains pressure free until the skin is restored. However, without proper treatment, the pressure sore can ulcerate easily and form a shallow crater at the affected site. Without intervention, the tiny ulcer can develop into a deep crater and ultimately expose the bone, muscle and tendons below. At this crucial stage, an infection can set in easily and place a loved one in severe danger. Unfortunately, many patients in nursing homes die by negligence from facility-acquired pressure ulcers. In many incidences, the increasing demand for nursing facility beds has compromised the health of patients when nursing homes are unable to find competent caregivers. As a result, many District of Columbia nursing facilities are either understaffed or staffed with caregivers that lack specific training on how to provide quality care to every patient. Because of that, the well-being of the patient is compromised, placing their health at risk. Alternatively, nursing homes with high success in avoiding bedsores typically follow strict protocols of assessing the patient’s skin when admitted to the facility and routinely monitor the patient’s skin each day. Additionally, the nurses and nurse’s aides regularly readjust the bodies of mobility-challenged patients every two hours or less to alleviate pressure. If you suspect that your parent or grandparent has suffered a bedsore in a nursing home, it is essential to hire a Washington D.C. pressure sore attorney immediately. Your lawyer can take legal action to stop the negligence now, and file a claim or lawsuit against all responsible parties to hold them legally accountable for their abuse. In addition, the law firm can ensure that your loved one receives the proper medical care to heal from their wounds. These professionals provide their services throughout the District of Columbia. Fill out the form here to contact a DC pressure sore attorney listed below. These lawyers work on contingency, meaning you will not pay any upfront fees for their legal services. 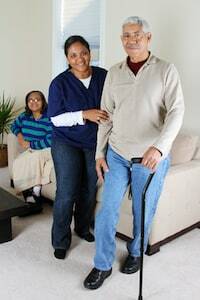 Speak with a competent D.C nursing home neglgience law firm today to start the legal process.